Home business mlm training for the most part if you are marketing online, is focused on “funnel marketing” and the like. I believe that can be a powerful way to market, but the attrition is unbelievable when it comes to keeping people on your team. Christopher Dittemore, an internet marketer and network marketer says that the problem often when you use only a “funnel” system is the number on team members you lose can be enormous. 1. To network with others. 2. To take their career and life to a better place. You can PULL these people towards you by giving away something FREE. How would you like to know a little secret that hardly anyone knows that will allow you to us ANCHOR TEXT in your profile and create a live link to a free report or ebook? How would THAT work for your hme business? I will tell you in a minute, but I want to ask you to check out a webinar that we are doing on September 22 (or you may be reading this after the fact and you can still check it out as there is a replay of it) called LinkedIn Recruiting 101. 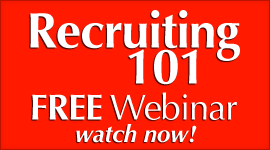 It is a Powerful webinar with the secrets of a #1 Corporate Recruiter in the nation for a recruitment firm. He shares his secrets then we applied them to the network marketing profession. This webinar will ROCK YOU BUSINESS. Check out LinkedIn Recruiting Secrets! So how would you put an anchor link (three are allowed) that offers something free? 1.Go to the “edit” section on your profile for websites. It is under your “Connections” link. 2. Click on “edit” for the first link. This will take you to the edit link page. In the drop down box next to “websites” you will find it lets you put a link in for Personal, Company, Blog, Rss feed, etc. 4. A new box appears to the right of it that allows you to put text in the box instead of the word “blog” showing or “RSS” showing. Put in something that would cause a prospect to click on it. “FREE ebook on recruiting- 101 secrets!” Or what you feel would work. Then go to the next link below it and repeat. Then go to the next link below it and repeat it again. This will allow you to have anchor text show up on your LinkedIn profile with a LIVE link and a compelling offer to take them to a page to possibly get them to opt in. This little known secret is quite “ninja” and I believe will explode your potential lead capturing from LinkedIn. Our Private Clients are CRUSHING IT with LinkedIn. They are recruiting like crazy. You can too! 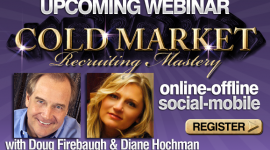 Just join us September 22 at 8 pm EST for the LinkedIN Recruiting Secrets 101 webinar. If you missed it, you still can get it! 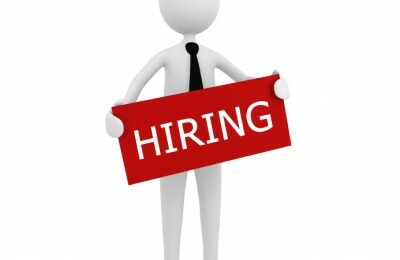 Just check out the link and see how you can become a recruiting magnet on LinkedIn. It will teach ou how to recruit on LinkedIn Powerful professionals for your home based business. Social Network Marketing Endless Leads? How? Read this. MLM LinkedIn Recruiting- She Enrolled 5 Professionals -LAST WEEK – HOW? Many times in the MLM Home business profession you receive some interesting news that stirs you up. This was the case for today. She had enrolled this past week FIVE LinkedIn Professionals and was excited. She works with a large nutrition company and her Success was quite unexpected, as she admitted. She felt that once she pulled the trigger on the secrets she learned about LinkedIn she would probably start seeing some results in a couple of months. Not a couple of weeks. But that happened in her network marketingbusiness. She enrolled 5 Professionals on LinkedIn in ONE WEEK and all she did was do what she had learned. 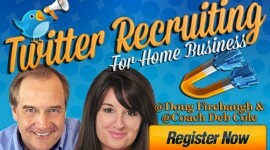 A Recruiting Blitz Webinar is a special tool that has built many a home business team we have taught. But for LinkedIn, it is a monster. It is something that when done correctly, can set you apart form everyone else. It is NOT just a video that someone has done that your prospect sees. 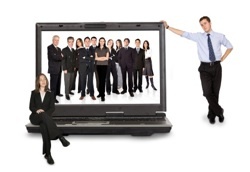 No- a Recruiting Blitz Webinar is more personal and private. And it addresses much of the issues with professionals time schedules. And when you learn to do it right- you can literally recruit AT WILL. 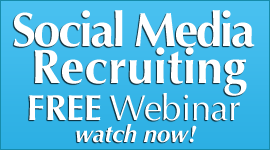 The secret to a Social Recruiting Blitz Webinar is to say it in a way that the prospect or candidate gets the picture quickly and knows they can duplicate that system. It does not take a lot of time, and it does not take a lot of your prospect’s attention as well as time. You can literally recruit someone in social media and on LinkedIN in 24 hours. And our Private Clients are doing it. You can too as it is powerful and magnetic to the mlm home business prospect. And then mastering this simple but powerful webinar software. Then you need to create your “Blitz Presentation” that will PULL people towards you like a magnet. That is what the LinkedIn Recruiting 101 webinar is about if you would like to learn. You can attend it Thursday September 22, and ir starts at 8 pm EST and goes to 11 pm. You will receive 3 insane BONUSES as well – and if you do not attend- then your loss. 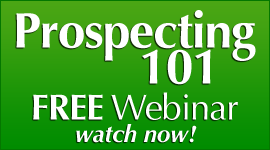 It is an absolutely amazing webinar put together with me by a #1 Corporate Recruiter in the nation for a national recruitment firm. 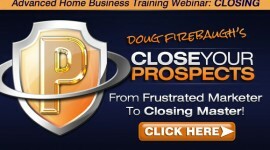 He has adapted his secrets to the Home business profession. and oh….by the way- price goes up tonight at MIDNIGHT. So if you want a flood of Professional Leads that you cannot keep up with (GREAT problem to have) then REGISTER NOW to the LinkedIn Recruiting Secrets 101 webinar for your MLM Home Business in network marketing. In any MLM or Home Business using LinkedIn, there are many powerful secrets that can be discovered for sponsoring great candidates for your home based business. 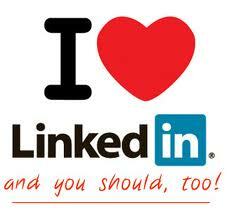 LinkedIn is a GOLD MINE of Professionals and ALL are looking to Network in some form. A #1 Corporate Recruiter in the nation for a recruitment company, who is a friend of mine, has 7 Rules that he adheres to that has allowed him to recruit more candidates in a year for his company through LinkedIn than the next 3 recruiters in his firm combined. He discovered social media in 2005 and has been a master at it, it seems, from day one. His “Rules” he uses for recruiting are powerful and has allowed him to even require $750.00 an hour for consulting and people and companies pay him gladly. These Rules are what he calls the “The 7 Un-Breakables” in his recruiting business and he does NOT break them for any reason. 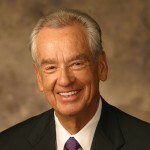 He has helped me put a webinar together which we will be doing on September 22, at 8 pm EST. It is called “LinekdIn Recruiting Secrets 101” and is a 3 hour webinar PACKED with how to become a Master Recruiter on LinkediIn with MORE additional videos in the Replay Room after the webinar as well. I would advise you to check it out LEARN for a master recruiter who has adapted his trainings especially for the home based business profession! 1. The Rule of ATTACK. Attacking someone is when you immediately start talking about your offer before you even get to know the person and see if they are who you think they would be a good fit for your business or a good candidate. Never attack your prospect. CONNECT and then start constructing abridgeofTRUSTthrough your LinkedIn conversations and also taking it offline. Talk about what THEY DO for a living and let them ask you more about what you do. Send them a link for a free marketing ebook or video to add value to their business and to their job and life. Add Value from the very beginning with little known information and then you can follow up asking if they like the gift. You will be amazed at how this works. 3. The Rule of the LOCAL NETWORK. On Linkedin, there is a local network you belong to. I belong to the Greater Detroit network with over 30,000 professionals on LinkedIn. Scott says that alone is a GAME CHANGER as you can meet them face to face and personally get to know them. Candidates are easier to recruit if you connect with them face to face and they see you are REAL. PLUS you have that in common with them- you are a “neighbor” and can immediately talk about that fact. Talk about the local sports scene or upcoming events that you plan to attend, or anything that pertains to the local area. The more LOCAL FEEL you have to your conversations the more comfortable the prospect will be and want to meet you. Scott obviously talks to them about their future plans and placement options for a better job. You can talk to them about possible “Cash Flow Options” or “Revenue Ideas” that gives them life options for their future they may not currently have. Find out what network you are in and start looking for prospects to link to and then possibly meet up locally. 3. The Rule of OPENING. Scott discovered they people on LinkedIn HATED to feel like they were being CLOSED on a deal or sale. They preferred to feel like they were being OPENED. Scott always pointed to the fact that a new job was an “Opening” to a whole new future and destiny. He was always focused on talking about how this would open future doors, open possibilities, open new connections, open new windows of networking. LInkedIn is NOT about attacking, ambushing, pressure, or closing. It is a about Constructing Relationships that will lead to doors being opened with new contacts and also new business and REFERRALS for you. Follow these simple Rules and see if your business does not dramatically improve on Linkedin for your MLM Home business. These are 3 of the 7 Rules that Scott follows concerning his recruiting on LinkedIn. Take your business up to a whole NEW Level on LinkedIn with the LInkedIN Recruiting Secrets 101 webinsr! The price is going up this weekend! 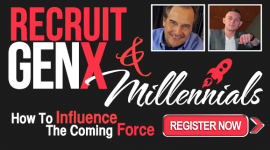 So LOCK YOUR SPOT in this powerful content rich LinkedIn webinar featuring the #1 Recruiter in the NATION for a recruitment firm’s Secrets to recruiting on LinkedIn. It will empower your home business with ENDLESS Professional LEADS for your mlm efforts in home business. Social Network Marketing Secrets – READ THIS! 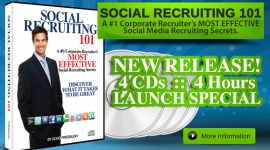 101 LinkedIN Recruiting Secrets by a # 1 Corporate Recruiter? WHAT? Social Network Marketing Training for Endless Recruiting leads?